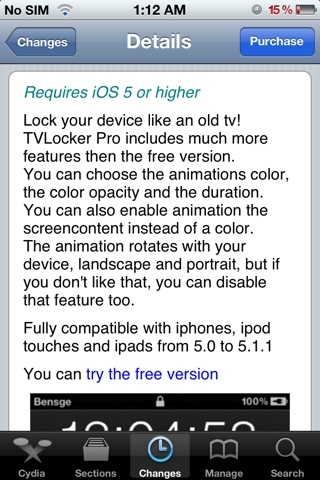 New day new tweak in Cydia this times comes TV Locker Pro. 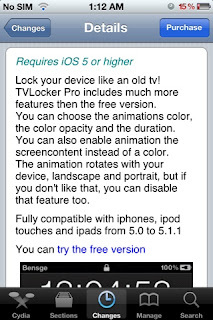 If you were to download this tweak by purchasing for $0.99 cents it would allow your locking animation to change like an old tv would. This tweak requires IOS 5 and can be adjusted from portrait to landscape.